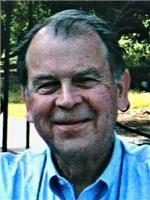 Stanford Ovide Bardwell, Jr. (July 2, 1940 – June 9, 2018), was an attorney in his native Baton Rouge, Louisiana, who was the U. S. attorney for the Middle District of Louisiana from 1981 to 1986 during the administration of U.S. President Ronald W. Reagan. In 1983, Bardwell prosecuted the counterfeiting case against former Louisiana State University athlete William Abb "Billy" Cannon (1937-2018), who coincidentally died fifteen days before Bardwell's own passing. One of seven children of Stanford Bardwell, Sr., and the former Loyola Ann Munson (1912-1997), a native of Thibodaux in Lafourche Parish, Bardwell and all his siblings were named for prestigious universities, Harvard, Duke, Princeton, Auburn, Cornell, and Tulane. His sister was T'lane Ann Bardwell Berry (1943-1987); his deceased brother, Harvard Rene Bardwell (1945-2012). Bardwell graduated from Baton Rouge High School and attended the business school at the University of Michigan at Ann Arbor, Michigan, and later graduated in 1965 from the LSU Law Center. A participant in the Reserve Officers Training Corps, he was a veteran of the United States Air Force. he was commissioned an officer in the Judge Advocate General Corps serving in the Azores Islands attaining the rank of captain. Bardwell worked in an adult Bible study and prison ministry and was a deacon and elder at the First Presbyterian Church of Baton Rouge. He was active too in Cancer Services of Greater Baton Rouge, the Governor's Criminal Justice Commission, Rotary International, the East Baton Rouge Parish Library Board, and the Greater Baton Rouge Chamber of Commerce. He and his wife, the former Leslie Groves (born January 5, 1944), have three children, Brian Bardwell of Nashville, Tennessee, and from Baton Rouge, son Patrick and daughter, Erin Irby, and three grandchildren. As U.S. attorney, Bardwell also prosecuted Adler Berriman "Barry" Seal (1939-1986), an airline pilot, drug trafficker, and informant who was gunned down in a contract murder at a halfway house. Seal's murder was ordered by Pablo Escobar of the Medellin (Colombia) drug cartel. After five years as U.S. attorney, Bardwell moved to Washington, D.C., to become the deputy general counsel for the United States Energy Department under then secretary John S. Herrington. He held this post from 1986 to 1988, when he returned to the private practice of law in Baton Rouge. Bardwell was an early Republican activist in the capital city. He worked strenuously in 1974 and 1975 to elect Republican William Henson Moore, III, to fill Louisiana's 6th congressional district seat, a post which Moore held for twelve years until 1987. Moore left the House to run, unsuccessfully as it developed, for the United States Senate against the Democrat John Breaux to fill the seat of the retiring Democrat Russell Long. Moore will be an honorary pallbearer at Bardwell's funeral. Bardwell died at his Baton Rouge home some three weeks before his 78th birthday. A memorial service was held at First Presbyterian Church on June 14, 2018; private interment followed at Roselawn Cemetery. ↑ Stanford Bardwell. Mylife.com. Retrieved on June 11, 2018. ↑ 2.0 2.1 Emma Dischler (June 9, 2018). Former U.S. Attorney Stanford Bardwell, Jr., who prosecuted Barry Seal, Billy Cannon cases, dies. The Baton Rouge Advocate. Retrieved on June 11, 2018. ↑ Loyola Ann Munson Bardwell. Old.findagrave.com. Retrieved on June 12, 2018. ↑ 4.0 4.1 4.2 4.3 4.4 Stanford Bardwell obituary. The Baton Rouge Morning Advocate (June 11, 2018). ↑ Leslie Bardwell. Mylife.com. Retrieved on June 11, 2018. This page was last modified on 9 August 2018, at 06:27.